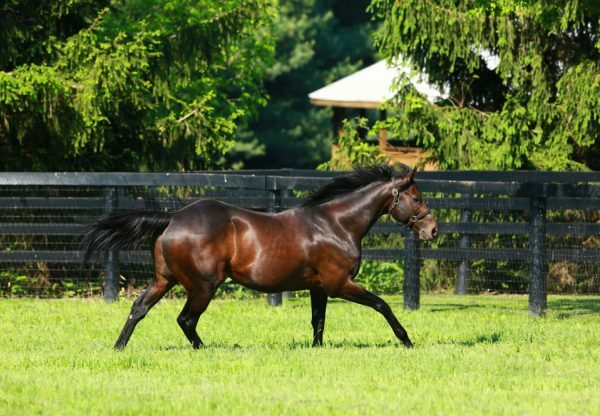 Brilliant colt Overdriven (2c Tale of the Cat x Air France, by French Deputy) lived up to the hype when bolting away to win the Grade II Sanford Stakes at Saratoga. Prepared by Todd Pletcher for the Repole Stable, Overdriven created a big impression when scoring a slick debut win at Belmont and ran right up to that good form in this tougher assignment. He jumped well and stalked the leader before accelerating clear in the stretch to win the six furlong dash by four lengths with Johnny Velasquez in the saddle.. “We felt like we had the best horse going in, but when you’re in situations like this, everyone knows what can happen in Saratoga and the history of upsets, so you don’t take anything for granted,” said winning trainer Todd Pletcher, who prepared last year’s Champion 2YO Uncle Mo for the same owners. “I’m just happy he broke cleanly and put himself in a good spot. [Jockey] Johnny [Velazquez] said he idled a little bit, kind of waiting on horses when he made the lead, but it was a very professional performance.” A $200,000 weanling purchase, Overdriven fetched $350,000 when re-offered at the Keeneland September Yearling Sale where he was bought by Mike Repole, this victory drawing the inevitable comparisons to Uncle Mo. “Here we go again, man. Pretty nice horse last year, and pretty nice horse so far this year. There’s only one Uncle Mo. And there’s one Overdriven,” Repole said after the race. “It feels good to get the first graded stakes win at Saratoga. Great win, great win, great win. Great weekend. This is the race I wanted to win. I’m pretty happy right now. 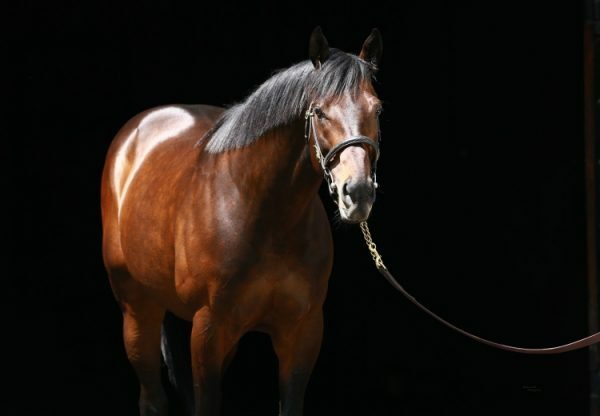 Last year, Uncle Mo was the best 2-year-old in the country and as of July 24, Overdriven is the best 2-year-old in the country.” Overdriven is the fourth winner and second stakes-winner from French Deputy mare Air France, whose previous best offspring is Smooth Air, a multiple Grade II winner of six races and $1.1 million in prizemoney. 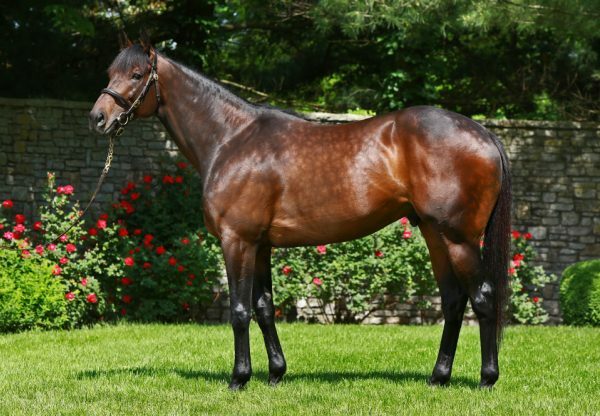 The Grade I Hopeful Stakes at Saratoga on September 5 is the likely next goal for Overdriven, who is the 72nd stakes-winner for Tale of the Cat, the son of Storm Cat headed back to Australia where he will stand at a fee of $33,000.